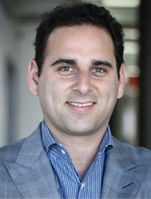 Michael Weisz is Founder and President of YieldStreet. Michael is responsible for YieldStreet's investment strategy, originator network and investor acquisition. Michael has held a variety of positions across the specialty finance spectrum including leadership positions with Soli Capital and American Medical Concierge. Previously, Michael was Vice President at a New York-based credit opportunities hedge fund with $1.2B under management. Michael and his team specialized in asset-based loan transactions between $5M and $25M with a niche in the legal finance markets. During his career, he has managed over $400M in transactions.